Boring lunch fix! Spinach & Cheese Toasts! I’m in a slump. A winter time lunch slump. I also think I’m, for lack of a better term, bored. I hate the word bored, but I’ve been finding things for myself to do. 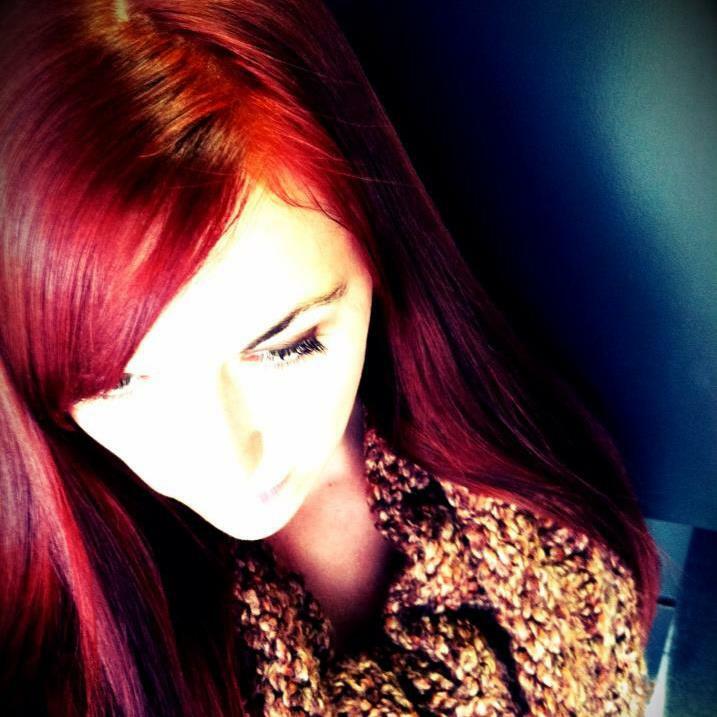 On a whim I colored my whole brunette head a bright red. Because I finally found a shade of red that said HEY! PICK ME! You’ll look fabulous!!! I love it. 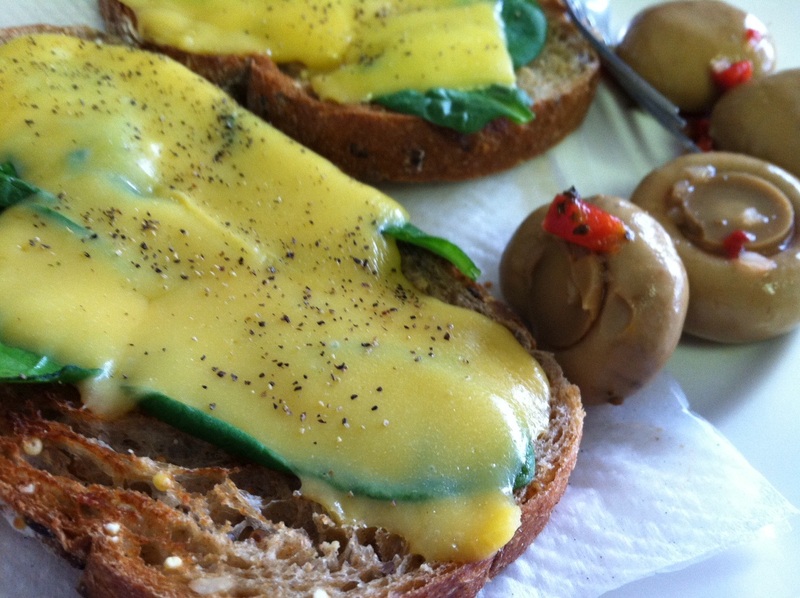 Put a layer of spinach on each piece of toast, topping with your cheese and a sprinkling of pepper. For optimum results, place under a broiler for a few minutes to get the cheese nice and melty, wilting the spinach a little. If you are limited and only have a microwave, zap is for 45 seconds to melt the cheese. Enjoy! The sandwich looks good – but your hair is beautiful! Nice way out of a slump!